Why Study the Arts at UW? How do you respond to a job market that’s always changing? You need to be adaptable to new challenges, responsive to competing demands and ready to come up with the next great idea. In a word: you need to be creative. At the UW, the Arts provide the ideal landscape to develop your creativity and pursue your passions. Our nationally and internationally acclaimed faculty will inspire and challenge you, and prepare you for a range of high-demand careers. Plus, you’re just steps away from Seattle’s vibrant community of artists, creators and innovators. At the UW and in Seattle, you have the perfect opportunity to practice the arts where art is happening. Are you a prospective undergraduate student? Interested in studying the Arts at the UW? Review application requirements, deadlines and other information through the UW Office of Undergraduate Admission. Take our 3-question quiz to learn what College of Arts & Sciences alumni with similar interests have done since graduating. The Arts Division provides training grounded in the scholarship and critical thinking that are the core of an Arts & Sciences education. 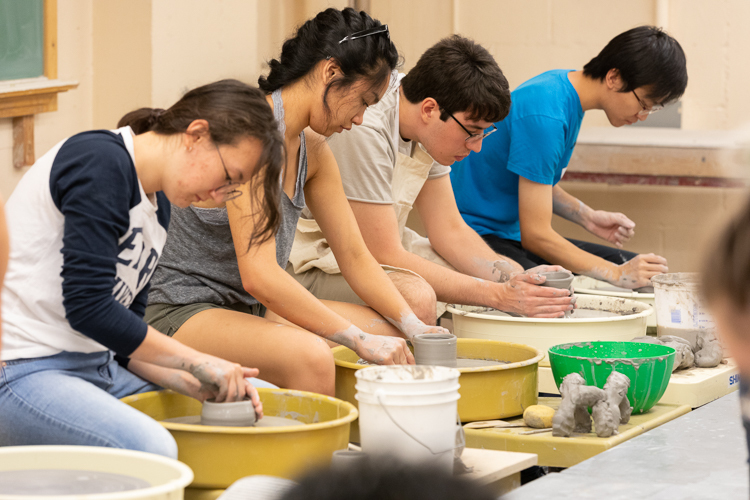 Explore the highlighted courses on this site, or connect to one of our Arts units to see the full slate of courses available. Seattle is an arts city! Check out our Arts in the Community page to see a small sample of all the city has to offer.